Creating content, staying active with your fans, and building a following online is very hard and tiring work. 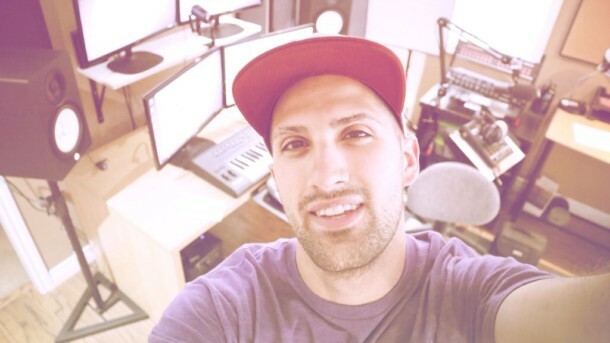 Sometimes I get asked how I can create so much content from books I’ve written, courses I release, these blogs I write, and even releasing my own music! In this article, I’m going to break down my mindset and how I approach organization to create content within this audio industry. I’ll first start with this. The audio industry is extremely hard. However, there’s LOTS of different avenues for you to build your name and generate income within the music industry. Offering Services like Mixing, Mastering, or Lessons! If you’re wanting to learn how to create a course, I’ve actually created a step-by-step course on that! Now you can find tons of information on the internet about each of these topics if you’d like more info on them. But I warn you, these things takes time, and you can become weary very quickly. Patience is the key to success, as you can create longer, more consistent, and more efficient while still producing high quality in comparison to your competition. So take time to read, study, and learn, and your knowledge will pay you back, if you keep with it; trust me! Now let’s get into what I want to cover in this article. Do you know what is going to make you stand out better than your competitor? 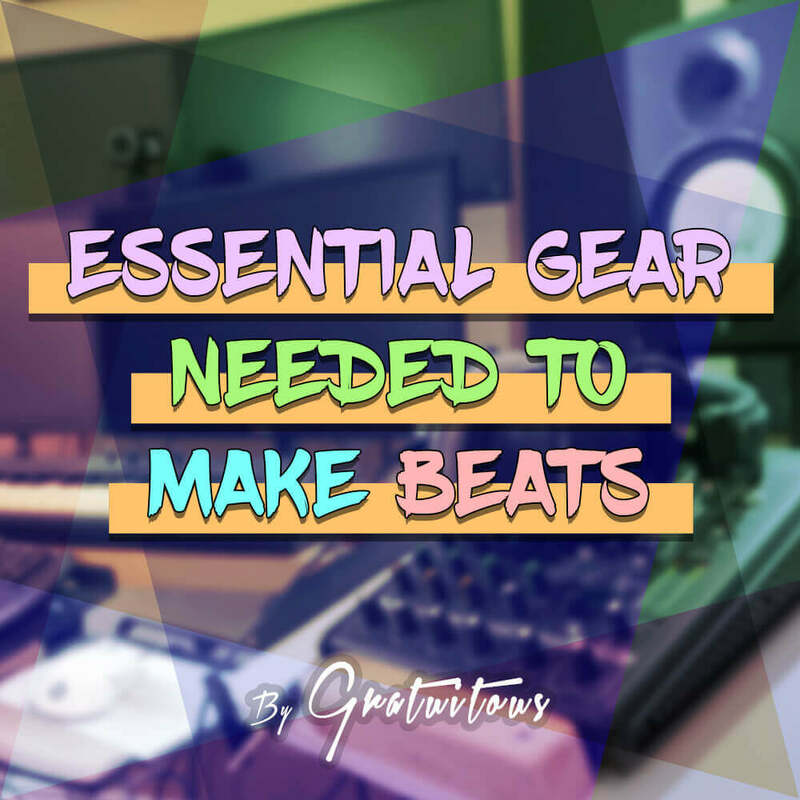 You see, the tools we use, not only as producers, but as a content creator (video editors, file management, where to find ideas on what to write about or create, applying certain techniques to your music), are what allow us to take our ideas to the next level. Some of these tools can save us HUGE amounts of time, while providing extremely high quality results! Now I’m not thinking of any tools in specific, but let’s talk about music for a second. You as a producer have TONS of different plugins and sounds available to you. If we didn’t have a tool like Slicex, having to manually chop up a loop would take forever! Think about how much time it saves you, and the jam-packed features Slicex provides. Now over your years, you’ll discover more and more tools (you may even start using some tools less). But it’s these tools which will separate you from your competition. How do you find these tools? Well, sometimes it’s from just getting your hands dirty in the industry. You may come across an interesting post on a forum, or you may be creating and think to yourself, “I wish I had a tool that did this“. You do a quick Google search, and you realize, it’s available! Now.. sometimes it may be a paid product. And you may or may not justify the cost of this tool. But that tool could be the difference which takes you to that next level. I guess it’s a type of investment if it produces you better results, income, and fans! So that’s one thing to think about. The tools we producers have available to us. Your research may just find you that special tool which separates you from the herd. Goals are what drive my content creation. If I were to try and accomplish all of my goals today, I’d get way too tired. This is why I create lists. I don’t use anything complicated for my list; I honestly just use the basic note app that comes with my phone. However, if I do group my ideas that relate to each other. The night before I think to myself, what should I focus my time on tomorrow? I will look at this list, and try to tackle a couple tasks without burning myself out. I may work a bit in the morning on some tasks, and then later that evening. By taking bit-sized chunks out of your goals, you’ll really be able to achieve your goals. Another part of the equation is actually figuring out how to create a goal, and if that goal is even worth your time. You’d have to figure out these goals before proceeding to take bit-sized chunks out of them. So how do I create tons of content without getting burned out? By working on little tasks which will eventually complete the whole project. And just to be honest – I do get burned out! And when I do get burned out, I simply take a break. But even in that time to rest, I will still think about goals, things to write about, or create. If you take this approach, you’ll then be able to build up a list of topics to create without having to plan AS you’re creating it. I’ve talked a bit about file management as a producer. 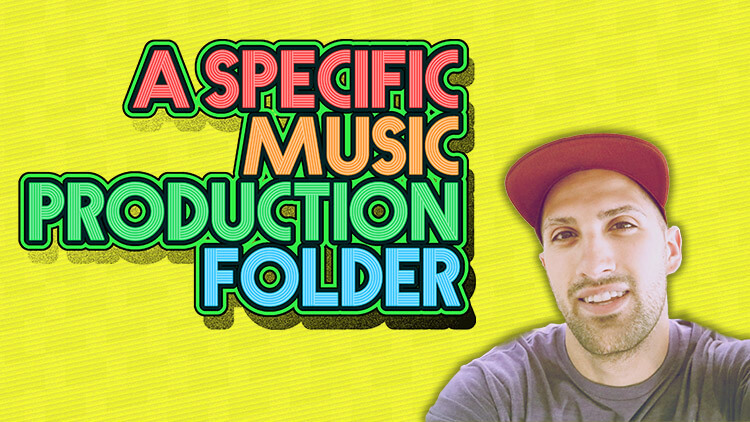 In this course I share with you how I set up my own personal music folder to prevent missing files and have a really organized workflow with your sounds. Now in this topic, I want to talk about your file management. If you don’t take the time out to organize your sounds, VSTs, and structure your music folder/files properly, you’ll ALWAYS be fighting your organization. When you go to create your music, you want to have a clear head; free from any distractions! 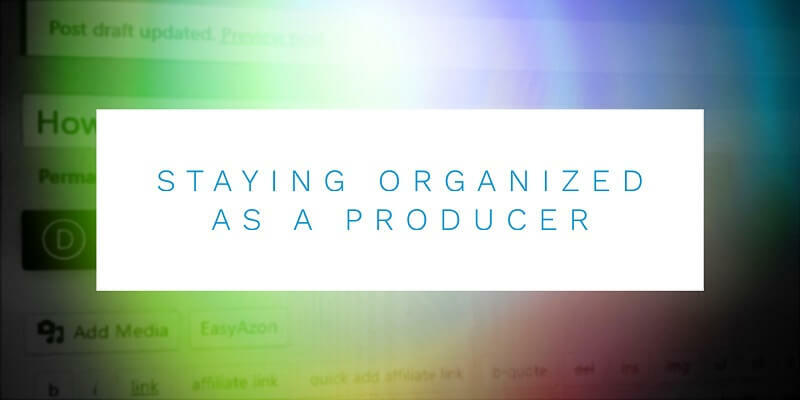 So if you take the time out to organize and structure yourself, which may take a day or two of your time (maybe even more if you’ve been producing for awhile), it will save you time and effort down the road. Trust me, it’s the difference. When I sit down to make my music, I can simply load up a project and start working. No fussing around with little stuff like missing sounds, or trying to remember where I stored a certain sound. Do yourself a favor – Take my music folder course. Take Time to Read, Learn, and Understand. When I read a book, I try to really take my time to understand what the author is telling me. It’s one thing to say, “I’ve read tons of books!”, but it’s another to actually understand what you’ve read from those books. I’m guilty of rushing, too! – But over my years I’ve become a lot more patient. Because of that quality, I’ve realized that because of patience, it not only allows me to look more professional, but I’m actually able to gain more knowledge and be more creative. So when you take time out to read, if you don’t understand what the author is saying, read the line again. Don’t understand still? Do some Google research. If you still don’t understand, don’t fret! – Maybe you’re just not at that level yet! Give it a year, and maybe you’ll read that line again and think to yourself, “Why did I find that so hard to understand before?”. Trust me, it’s happened to me! The key to enjoyment in life is balance. Spend a bit of time writing, a bit of time making music, and a bit of time creating videos, if that’s what your approach is going to be. As you can see, you’ll be building multiple skill sets, while at the same time, having tons of variety in your life! Set your goals, achieve them with bit-sized chunks, and before you know it, you’ll be looking back in a year or two from know saying to yourself, “I can’t believe I actually got all that done!”. Look at me! – I’ve released so many beat tapes and courses, and looking back, I also wonder how I had all the time to create those. Sometimes you have more time than you realize. Don’t forget about your own enjoyment, as that’s what gives you your own character. But don’t forget about constantly chipping away at the iceberg. If you took a before and after picture, you’d be amazed at how much you’ve actually chipped away!